— I have theorized on this site a lot about comparative religion. ideas involved which are central in my own thoughts. THE DAILY WALK WITH LOVE NEEDS YOUR HELP AND SPONSORSHIP! We have to have business-class hosting because so many of you are reading our articles, for which, God Bless you! Even a small contribution would help. A substantial donation would get you a permanent ad on the sidebar, which shows on every article and page. Help us serve you better – Email Paul at sailingtokansas@gmail.com. The Daily Walk with Love, republished April 17, 2019, by Paul Evans. An edited and “elaborated upon” excerpt from Secrets of Life on this Oasis in Space that is Mother Earth, The Daily Walk with Love, January 14, 2018, by Paul Evans. Accompanying music video is Homeworld (The Ladder) by Yes, (from the 1999 album The Ladder, an 11 song playlist), YouTube — 1:00:29. 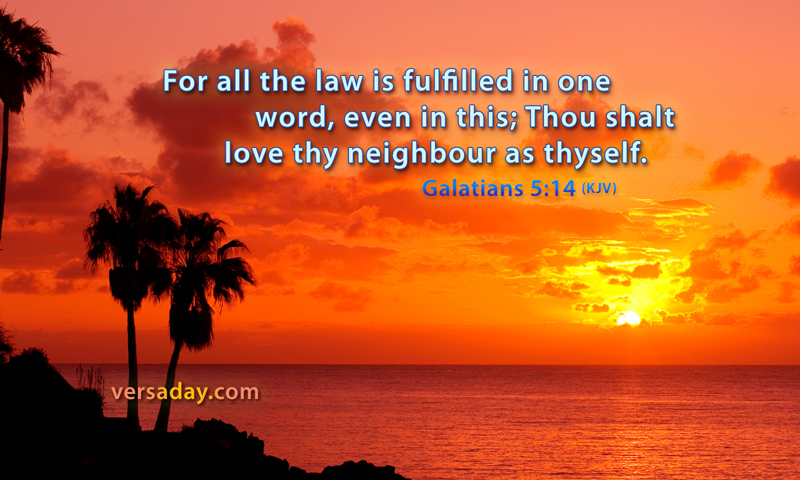 Featured beautiful tropical photograph illustrating Galatians 5:14 courtesy of verseaday.com. I find that for me, Ephesians 4:31-32 and that passage in Galatians are my main behavioral motivation as I go through life. ADDED: See Psalm 25 — Asking for God’s Help, with Explanation, The Daily Walk with Love, January 17, 2018, by Paul Evans. I am actually proud of my effort with that article as well as this one, and hope you all might take the time to read them. I just wanted to help you all, especially out of my love for the “common man,” and so I can understand religion better myself, so I studied comparative religion on and off for 40 years now. This website is the result, and a few specially inspired articles like this current one is what I was able to come up with. I have been exploring these ideas with you on Evans Web Design, Evans Politics, The Daily Walk with Miracles and now, The Daily Walk with Love, for ten years now. I do realize that most Christians view God as Light, but though light is special and good and necessary, it’s Life that I see as sacred. I ask my fellow Christians to please not judge me for that, either. Perhaps it is that while light is the “Source,” it is life which is the “Force.” That seems to me to be a novel and interesting conception I have never seen elsewhere before. Jesus gave us only two commandments: they were his life’s mission, that we would learn and follow these two simple rules — Love God and love your neighbor as yourself. People make such a complicated mess out of that. Actually following Jesus teachings is pretty simple in terms of “loving your neighbor as yourself,” really though: Help people and be kind to them when you can. Don’t hurt anyone if you can possibly help it, and don’t judge people. I do realize we must “evaluate” people and situations, but if we are Christian, we should just be who we are (and take off that fake mask we wear, to actually be about what we are about, politely just being yourself, within the limits of protocol. 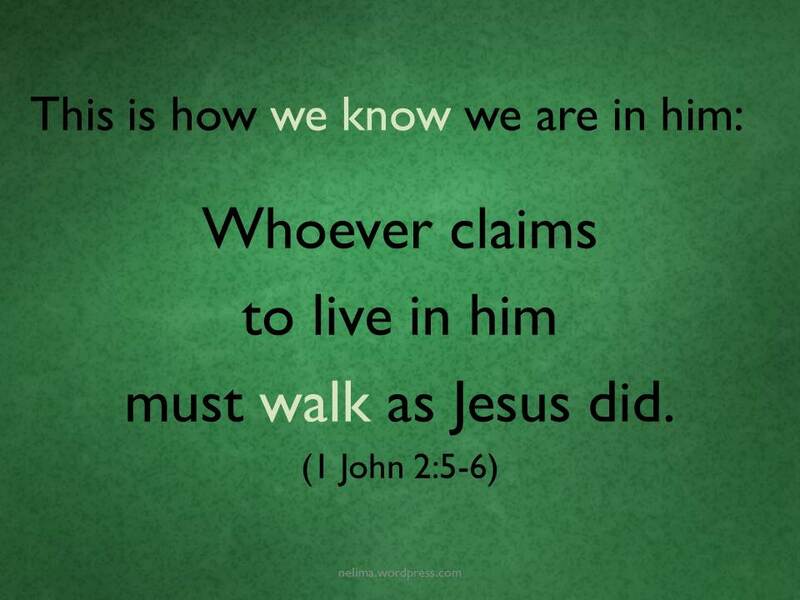 As Jesus also made clear, we should not judge people at all, if we are following Jesus. And this does not mean we cannot be “discriminating” in our tastes, either: it’s a fine line to walk. I think those messages from Jesus are straightforward in the Gospels. Nowhere did Jesus ask us to memorize any scripture or to follow any doctrine. (And the Pharisees hated him for it, too.) I do feel that we need a good knowledge of Jesus’ life and teachings, and always we need God’s grace in our lives. One interesting source of the teachings of Jesus I have become familiar with, one of the Gnostic Gospels, but one which I pretty much trust, is The Gospel of Thomas (four video playlist), which was lost to us for 2,000 years but has recently been found intact in Egypt. Also thought to be perhaps especially authoritative among the “standard” Gospels is Luke, (here presented as a movie on YouTube — 1:23:52). Luke was the third and longest of the standard Gospels, and people have told me they feel it to be somewhat authoritative, so I am giving you this link. Galatians 5:14 (KJV): “For all the law is fulfilled in one word, even in this; Thou shalt love thy neighbour as thyself.” Also see 1 John 2: 5-6. I fully admit I could have it wrong, but the above is what I am certain God has led me to believe, and so this is what I teach. Perhaps my ideas may resonate with a few of you, perhaps not, I hope my ideas offend no one. I will go to my grave believing these are the true teachings of Christ, and that being Christian is as simple as following those simple rules, given above in italics. I have found that few people actually do that, and perhaps this is how God will one day judge us. God Bless and Blessed Be. ~ Paul Evans.